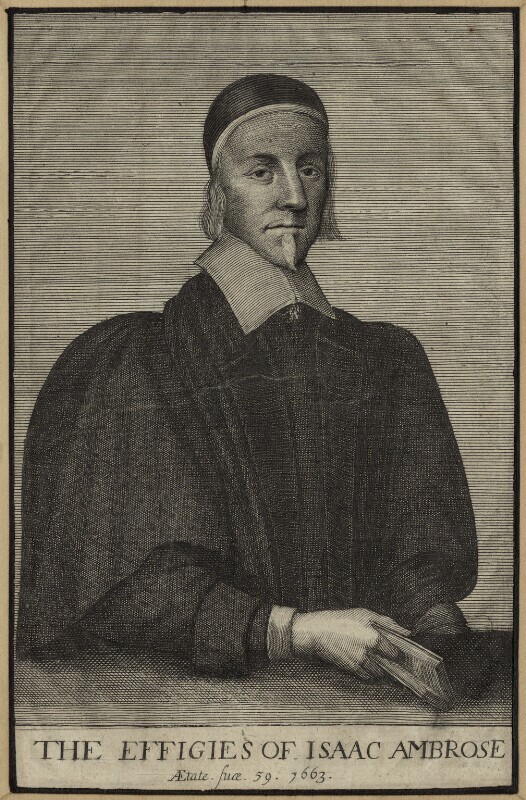 Isaac Ambrose (baptised 1604-1664), Puritan divine. Sitter in 1 portrait. Political society, the Green Ribbon Club, begins meeting. Initially composed of disaffected lawyers and republicans, the club opposed what it believed was a gradual shift towards a pro-Catholic government under Charles II. Political economist, Slingsby Bethel is an early member. Revision of John Dryden and William Davenant's adaptation of William Shakespeare's, The Tempest, into a semi-opera is probably accomplished by playwright, Thomas Shadwell. The adaptation popularised operatic entertainment. Shadwell's subsequent dramatic musical score for his play Psyche (1675), became the first to be published in England. Lord treasurer, Thomas Osborne, argues for a separate peace deal with Holland as concerns grow in Parliament over England's alliance with France in the Third Anglo-Dutch War. Refused further funds for the war, Charles II signs the Treaty of Westminster ending English participation in the conflict.